A routine of water flossing followed by string floss can be time consuming. Why not do both at once? JetPik’s newest answer to this dilemma is the Triple-Action Jetpik Power Floss System JP200 Elite. According to the makers of Jetpik, their system may be twice as effective as water flossing alone! For this Jetpik review, we will examine several items: features and specs, intended users, health benefits, standout qualities, and customer feedback. What are the Jetpik Power Floss System Specifications and Features? • Twice as effective than a regular oral irrigator. The Jetpik System is the easy, more effective and time saving way to floss and brush teeth. 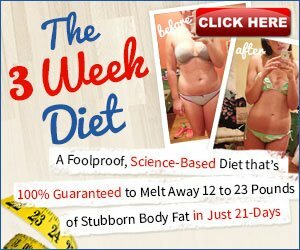 • Enjoy healthier gums and cleaner teeth in 7 days or receive a full refund. 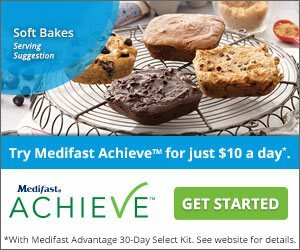 • Clinically proven to remove up to 99% of plaque from treated areas 240% more effectively. The “Go With Water” design for flossing makes the dental floss travel through or around any dental work. • An innovative combination of pressured pulsating water with pulsating dental floss and a Sonic toothbrush cleans deeper and faster between teeth, below the gum line and on all surfaces of teeth. 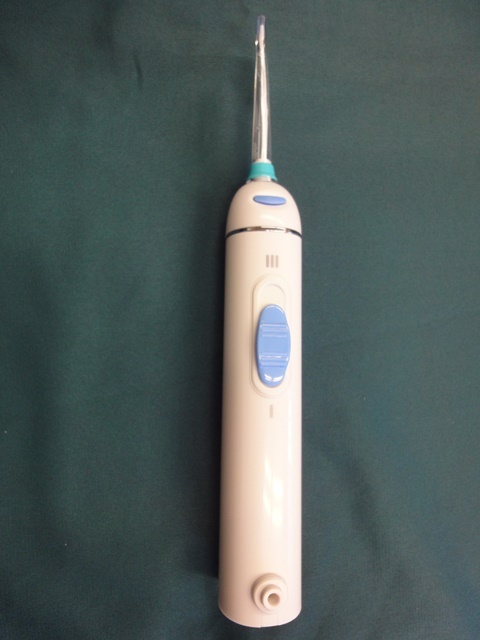 The main benefits are the all-in-one approach of this water flosser. The thing that sets the Jetpik Power Floss system unique is its combination of so many features in such a compact, travel-ready package. Who is the Jetpik Power Floss Water Flosser System intended for? The Jetpik is for everyone. 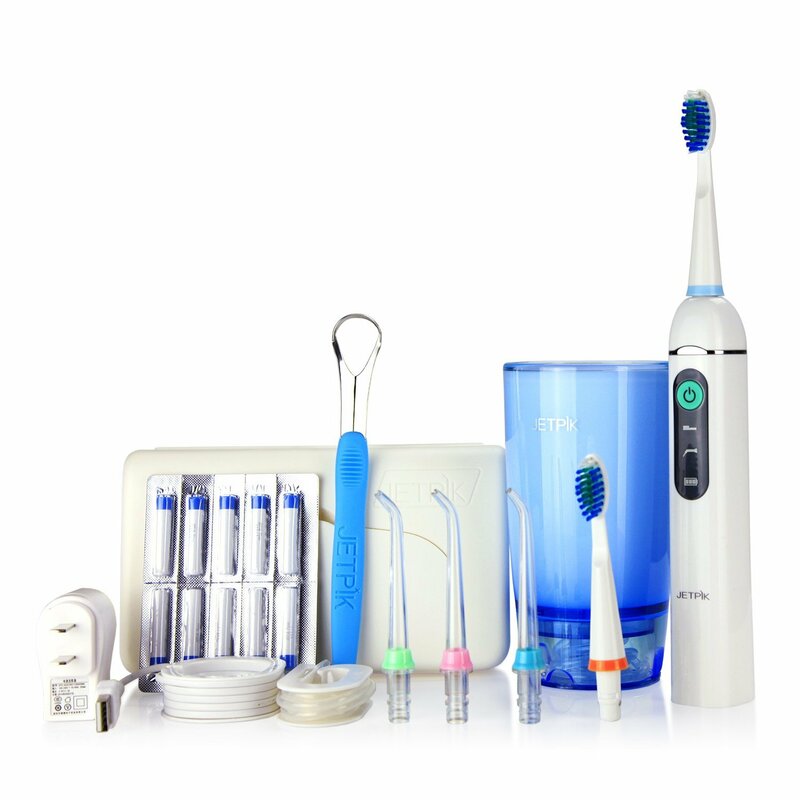 It is especially designed for those who want a compact all-in-one travel-friendly water flossing system. The other big feature is the fact that it goes beyond normal water flossers by including a power dental flosser within the stream of the water flosser. The dental floss cycles in and out of the water flosser tip within the water stream to get in between teeth and behind dental appliances. The Jetpik JP200 Elite becomes a complete dental care system with the addition of a sonic toothbrush and tongue scraper. What are the health benefits of the Jetpik Elite Power Floss System? Most oral irrigators don’t include this feature, but the Jetpik adds dental floss to the water flosser stream. The Jetpik accomplishes this by inserting a floss cartridge into the bottom of the water flosser tip. 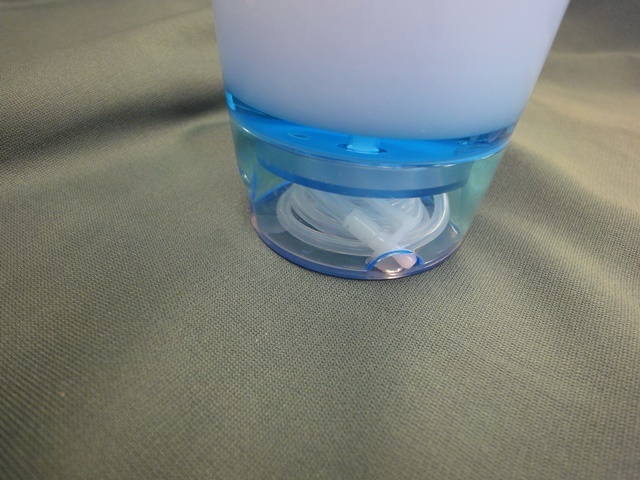 When you’re using the water flosser, the dental floss cartridge releases the floss (which seems to be similar to Glide-type floss). If you look closely, you can see floss quickly pulsing out and back into the tip. The intent of this flossing action is to directly, but gently, use friction to dislodge foreign material, remove biofilm, and flush away bacteria. This includes cleaning below the gumline as well as between teeth. According to manufacturer studies, the Jetpik is twice as effective as water flossing alone. Jetpik also offers a guarantee: experience cleaner teeth in seven days or receive a full refund of the purchase price. 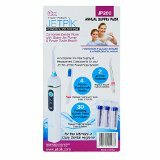 What sets the Jetpik Elite Power Water Flosser Apart? The Jetpik design is made for versatility and portability. People who would be most likely to purchase the Jetpik will be those who want it all — an oral irrigator, a power flosser, a sonic toothbrush, and a tongue scraper, all in an innovative, travel-friendly package. 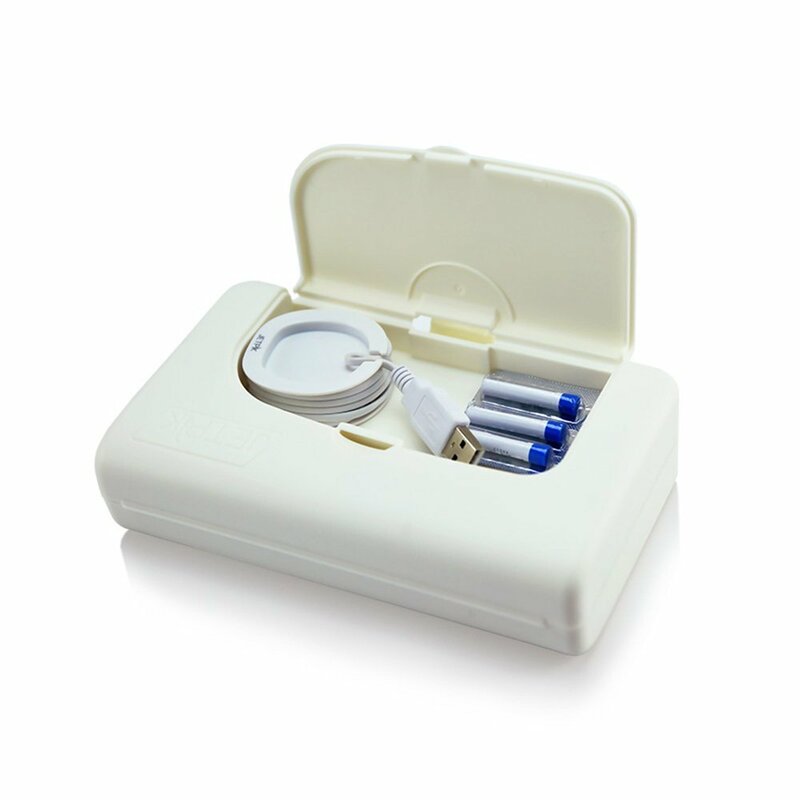 There aren’t many water flossers which can include so many features in a design that can fit in a handy travel case measuring less than 7 inches long. Also, the engineers found an innovative solution to the small reservoir problem that plagues many portable water flossers. 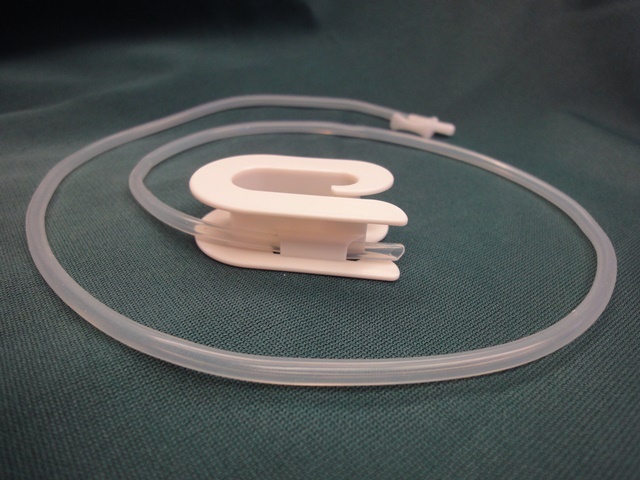 They designed it with a tube that can attach to any glass you may encounter. It’s entirely possible for you to put the glass under the faucet, turn the tap on to a slow trickle, and enjoy a completely uninterrupted water flossing experience! 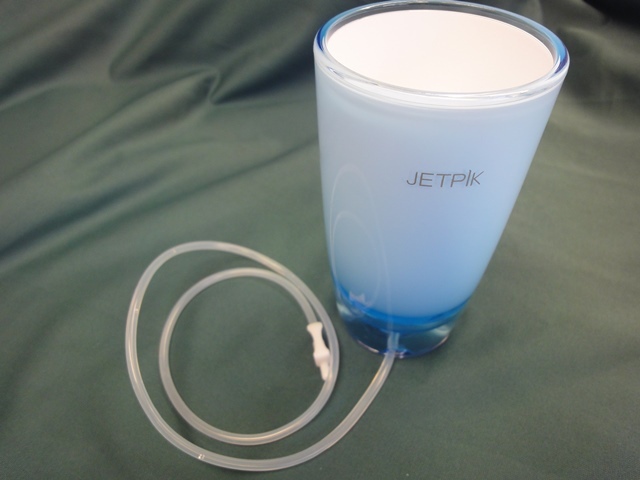 The water reservoir included with the Jetpik reduces clutter by coiling the water tube in its base. Along with everything else, you will receive three color coded flosser tips, ten flosser cartridges, and two toothbrush heads. Jetpik recommends that floss cartridges be replaced every other week. To make this more convenient, they made available a one year supply of floss cartridges and toothbrush heads. Another great option is the UV sanitizer. Although it’s a small additional investment, it’s great knowing that your dental tools will be bacteria-free after 10 minutes of UV light. At the time of the review, it is not available separately. You can get it by purchasing the Jetpik Ultra Power Floss System. 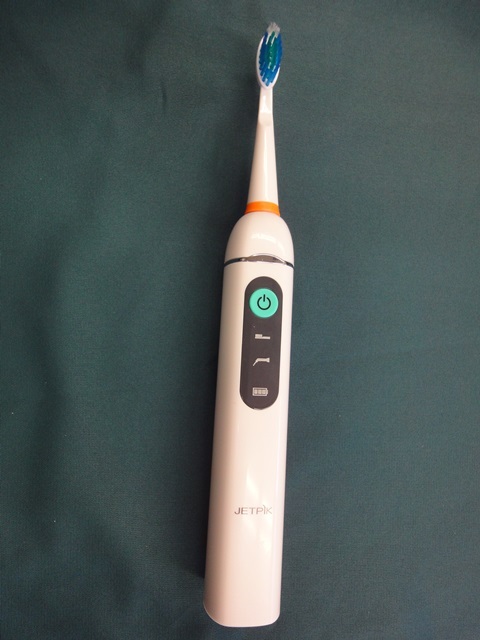 How User-Friendly is the Jetpik Water Flosser? The Jetpik is very easy to use. Simply plug it in, fill the reservoir, and go. When you’re ready to use the sonic toothbrush, simply press the release button at the top of the handle, pop out the water flosser tip, and insert the toothbrush head. For the water flosser, there’s an pressure slider on the back of the handle which will adjust the water stream from 30-70 PSI. 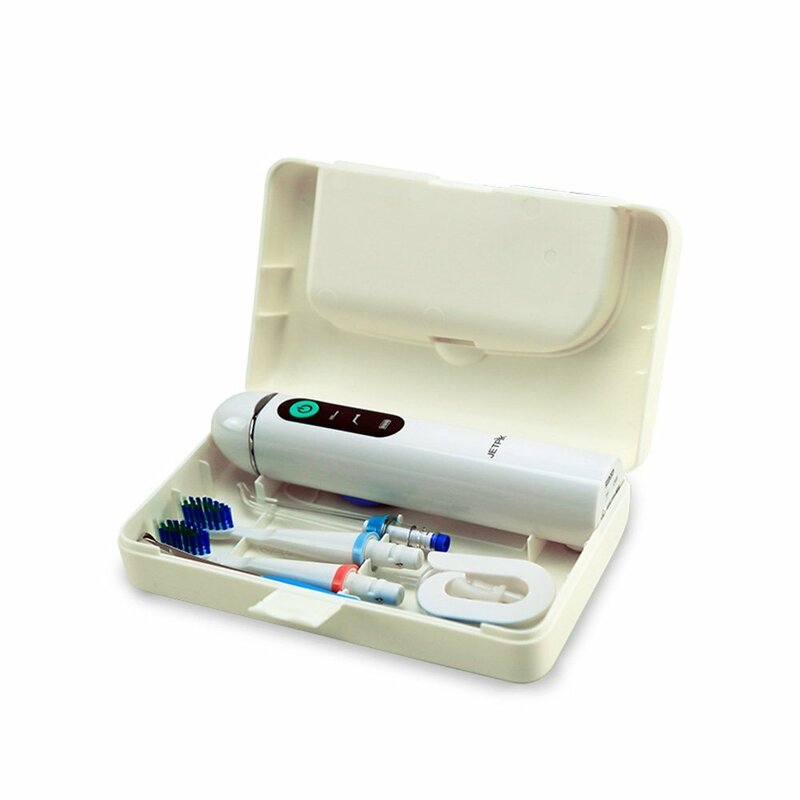 According to the directions, the Jetpik JP200 Elite power toothbrush should have three settings which are selectable by pressing the power button to cycle through high, low, and high-low pulse modes. 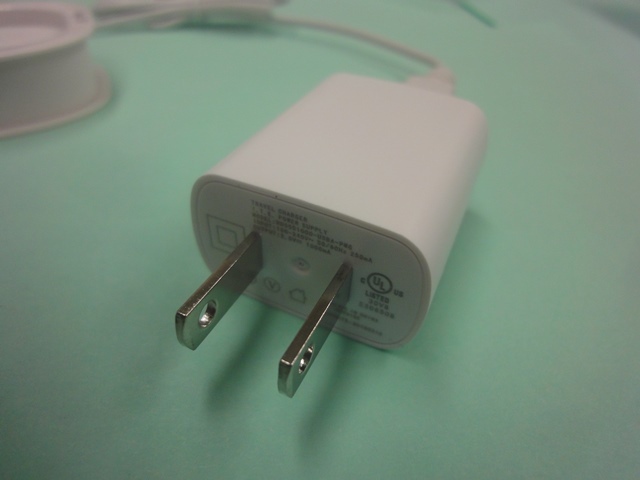 However, we were only able to get the highest power setting to work. Pressing the power button again simply turned the unit off. We researched it and the manufacturer states that the instructions are in error, so it looks like there will only be one power mode going forward. This feature would’ve been nice to have, especially for people new to power brushing who are not prepared for full strength vibrations to their teeth. 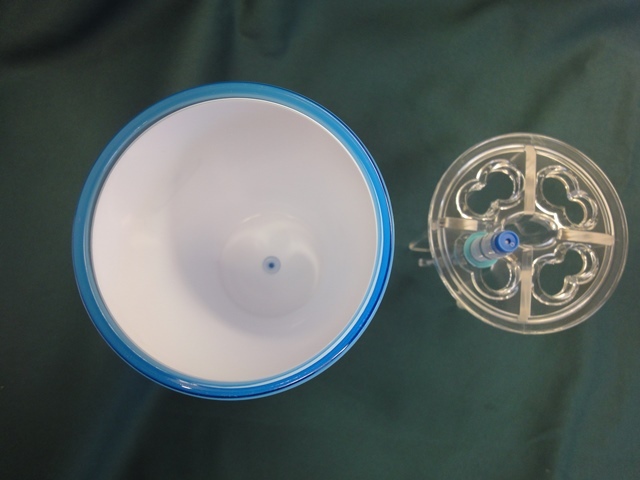 The newer version released in September 2015 includes: a 2 minutes timer function (the brush tip will generate a special 3 short pauses of the brush vibration to let the user know that 2 minutes brushing have elapsed) and the reservoir cup will include a lid so that all accessories can be secured inside. We feel that a timer is essential, so this is a welcome addition to the system. How do customers feel about the Jetpik Elite Power Floss System? Most people simply rave about their Jetpik. Although it’s new to the market, Amazon users rate it at above 4 stars out of 5. There are a few complaints, but there doesn’t seem to be a clear pattern that indicates a problem. Overall, most people give it a 5 out of 5. As for this review, we would rate it as a 4 out of 5 stars. The water flossing experience was satisfactory and quite vigorous compared to other water flossers we’ve reviewed. The pressure settings did not seem to affect this feeling appreciably, so it could be the addition of the dental floss that we’re feeling. The sonic toothbrush performed well for a combo unit. For Sonicare Healthywhite veterans, the toothbrush felt like it was at a lower amplitude (the brushstrokes didn’t travel as far side to side). However, you could definitely feel the vibrations working to clean your teeth. Multiple sonic toothbrush settings were missed opportunities. A timer was added in September 2015. Overall, we consider the Jetpik system to be a worthwhile investment in your dental health, whether you go with the JP50 Elite without a sonic toothbrush, JP50 Ultra (with the UV sanitizer), JP200 Elite, or the JP200 Ultra (with the UV sanitizer).